Home » Attentionology for K-5 Teachers » Bring Your Mom to School! Yesterday, for me, was the first Mother’s Day without my mom, shown in my blog pic here. She died last July, 2011, and I miss her. My mother, holding print information, as was her style. She never stopped learning! Thank heavens for photographs; I could take one of Mom with me to school if, for example, I wanted to show my students someone who inspired me to become a teacher. 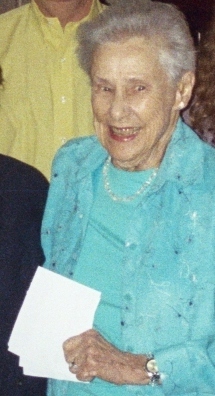 Mother’s Day as it is celebrated in the US was first observed on May 10, 1908 in West Virginia, in honor of Mrs. Reese Jarvis. This thanks to efforts begun in 1858 by her daughters, Anna and Elsinore. By (US) Presidential proclamation on May 9, 1914, the second Sunday in May was declared to be observed as Mother’s Day. So you see, you can take your mom to school any time, either in a photo or video, or in person – that would be best of all – and certainly a cool attention-ology tool! Mother and daughter don costumes that connect with curriculum. mother-daughter team dresses to impress – that is – to catch and hold students’ attention – in Debbie’s class. As part of her Social Studies curriculum Debbie teaches a unit on The Oregon Trail; she’s had success helping students learn by bringing history to life through costuming. Like mother, like daughter…Nancy worked as a Special Education teacher for twenty-eight years before retiring. Ask her if she knows a thing or two about kids and her smile and eyes reveal her experience. Imagine the stories she has to tell! Storytelling is part of the costuming “gig” that Nancy and Debbie have created. On the designated day when Debbie’s class will (pretend to) head out on the Oregon Trail, Nancy comes to class already in costume. She plays the role of Nellie, mother to Debbie’s character, Sally. “Well, hello there boys and girls,” Nellie greets the class. “My daughter, Sally, should be along soon. She had to tend to the horses,” Nancy explains why their teacher is not in the room. The kids instantly get the “gig” and take their seats eager to see what comes next. Debbie rushes into her classroom in character attire and voice, announcing that it’s time to sew marble bags to prepare for a long journey along The Oregon Trail. Before costume day when Debbie brings her mom to school, the class has learned about The Oregon Trail as you see in my blog pic below. 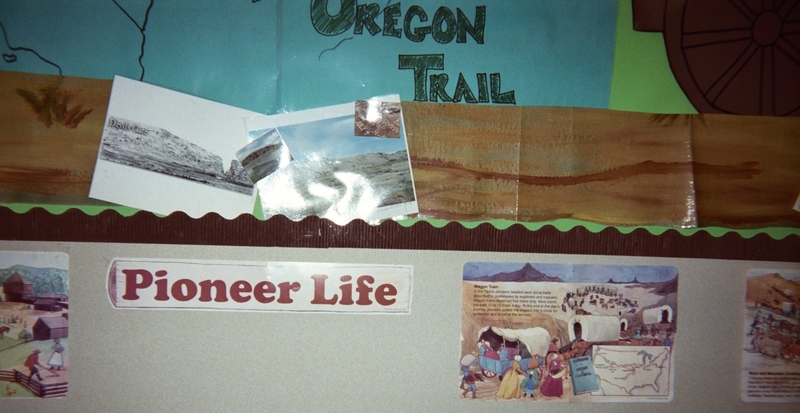 The students have learned about life on the trail, westward ho, during pioneer days in America. FYI, between the years 1843 and 1869 The Oregon Trail was the only possible land route for settlers who wanted to reach the west coast of the United States. No matter what part of the world you live in, you can invite your mom (in-person or not) to be part of your teaching plan. Every nation has a history that children who are native to that land learn. 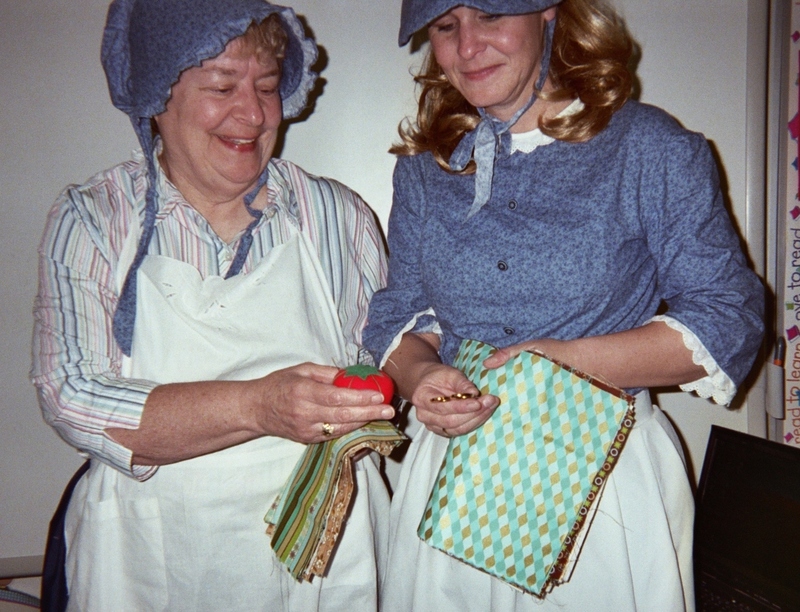 Making simple costumes based on your nation’s history, like pioneer women costumes are to America, or simply wearing or showing special occasion clothing you and your mom have or had can help connect kids to your Social Studies curriculum. Costuming is a classroom-tested trick for effective teaching. Flags are as colorful as costumes and they are a wonderful way to introduce children to the world. 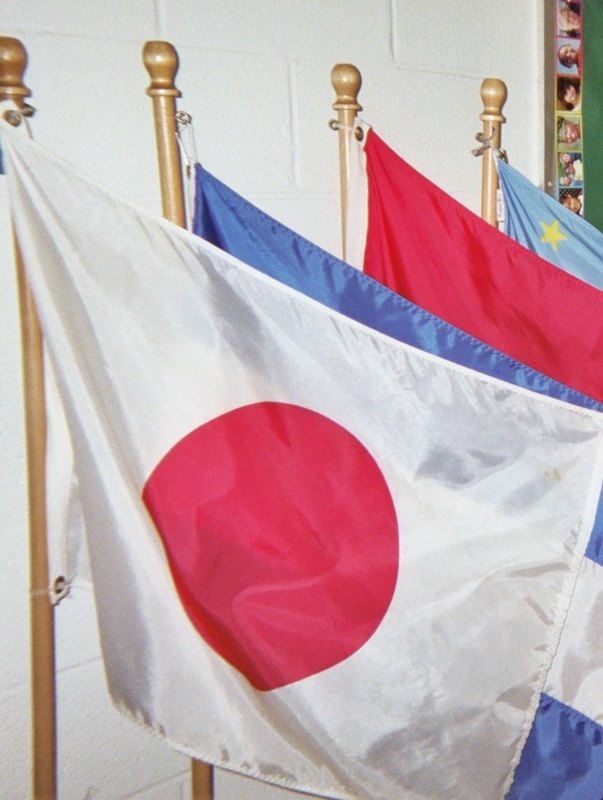 The Japanese flag waves among the flags of nations. The Japanese flag you see forefront in my blog pic here brings us back to Mother’s Day. In Japan Mother’s Day dates back to the Showa period. The modern traditions began in 1913, marking the second Sunday in May as the day to celebrate. Yesterday in Japan we would have heard children say, “Haha-no-hi!” – Happy Mother’s Day! As every mother and every teacher knows, children learn by doing. When you set the classroom stage for learning by wearing curriculum-connected costumes, like Debbie and her mom do together in school, and by using “props” like national flags, you can engage your students in learning.